You may have seen the viral video – a man is at a checkout in a convenience store in Kentucky when suddenly his pants burst into flames. He runs out the door of the store, removes his pants and a good Samaritan comes to his aid. He was hospitalized but expected to be OK. But yikes, what happened? The man – Josh Hamilton – reported that an e-cigarette in his pocket was the cause of the fire – he associated it with the lithium battery that came in contact with change in his pocket. An NBC news report – What’s Causing Some E-Cigarette Batteries to Explode? – says that there could be many reasons ranging from lack of industry standards to misuse by users. Because they are unregulated, nobody is tracking injuries but Josh Hamilton is not alone – they’ve been other reports of explosions and serious burns to the mouth, face and hands. The lithium-ion batteries used to power e-cig vaporizers are small and powerful. When they fail, the results can be disastrous. We’ve seen that with cellphones, laptops and most recently, hoverboards. In another recent article, The New York Times talks about The Risks in Hoverboards and Other Lithium-Ion Gadgets, noting that the problems can seemingly occur without warning. Are lithium ion batteries safe? Cheaply made batteries or cheaply made charger devices may be the root of many of the problems but the safety of the batteries is a significant enough issue that regulators are taking note. The Claims Journal reports that e-cigarettes were recently banned in airline checked bags. “The Department’s Pipeline and Hazardous Materials Safety Administration (PHMSA) previously addressed safety concerns relating to the transport of electronic cigarettes. In October 2015, the agency issued an interim final rule to prohibit passengers and crewmembers from carrying battery-powered portable electronic smoking devices in checked bags as well as ban passengers and crewmembers from charging the devices and/or batteries on board the aircraft. 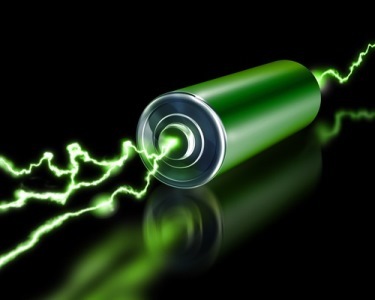 Lithium-ion batteries are commonly used in rechargeable consumer products like cellphones and laptops. The batteries can still be transported in cargo planes, but starting April 1st they will be prohibited from commercial aircraft. The International Civil Aviation Organization (ICAO) said the ban will be in place until a new fire-resistant packaging standard is designed to transport the batteries, which is not expected until 2018. The prohibition is mandatory for ICAO member states, which include 191 countries around the globe.